Department of Tourism (DOT) Secretary Corazon Wanda Teo visited Bohol yesterday to take a tour around the countryside to prove to the world that the province is safe for tourists following the incursion of around 10 Abu Sayyaf bandits into Inabanga town last month. Teo brought along national media reporters to personally show to the public that the province is not under threat and is safe for travelers and locals alike. The DOT official vouched for Bohol’s safety after she toured the Chocolate Hills in Carmen and other popular attractions in the province. 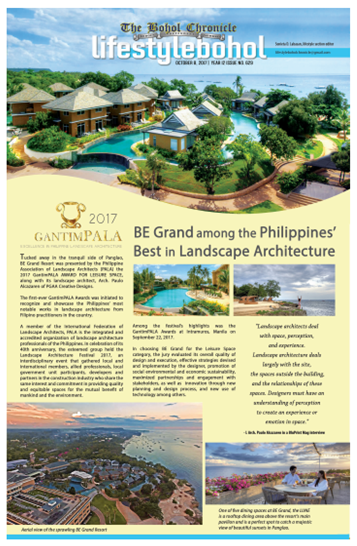 In a press briefing at the Bellevue Resort in Panglao, Teo made an assurance to support the province as it moves to regain its tourism sector’s former state amid reported cancellation of several tourist bookings. She acknowledged the efforts of provincial officials in maintaining peace and order in Bohol as she also cited the province’s potential in tourism pointing out the “beauty of Bohol” and its residents’ hospitality. The Cabinet secretary also noted that she has been appealing to envoys of countries which have issued advisories on travelling to Bohol to rescind the official warning as the province and the rest of the region is safe. For his part, Gov. Edgar Chatto said that China has already lifted a travel advisory it had previously issued, while other nations are expected to do the same.